Disney's Herbie: Fully Loaded hits the big screen. Disney-MGM Studios. Celebrity guests include Jake Lloyd and Warren Fu. 1966). Married to Edna Francis in 1925, Roy was the father of Roy E. Disney. outside the Team Disney building at Disney's corporate headquarters in Burbank, California. Selincourt. In 1920, they will have a son and name him Christopher Robin. prime-time soap opera, Knots Landing. Disney's Pluto cartoon Bubble Bee, directed by Charles Nichols, is released. The short features the second appearance of a bee named Spike. Anniversary" in a tribute to Sullivan. generally released two days later. as champion race car driver Jim Douglas along with Knotts as his mechanic. Herbie, the "Love Bug,"
takes part in the (fictional) Trans-France Race, from Paris, France to Monte Carlo, Monaco. Disney's 32nd animated film The Lion King is generally released in U.S. theaters. At Epcot, the Electric Umbrella fast-food facility opens in Communicore East. and to Disney's 3 other theme parks, for her and her family. Disney's newest animated feature Lilo & Stitch. Disney's direct-to-video sequel Air Bud Spikes Back is released. The Disneyland Resort hosts a world premiere event for the new feature film Pirates of the Caribbean: Dead Man's Chest. Wisconsin. TV fans know him best as Police Officer Murray Greshler on The Odd Couple and Al Delveccio on Happy Days. at the Disney Studio lot in Burbank, California. by Thomas Newman and a new Peter Gabriel single "Down To Earth." a 250000-square-foot museum of news in Washington,D.C. Samuel (Pirates of the Caribbean: At World’s End) for Best Make-Up, and Ratatouilee for Best Animated Film. Walt Disney graces the cover of this day's issue of The Family Circle periodical. interested as we were in George Kent's account of his tour of the Disney studio and his visit with Walt. The inside article is titled Snow White's Daddy. 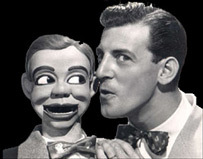 Ventriloquist Paul Winchell credited Jean Freeman, his British-born wife, for coming up with Tigger's signature phrase "TTFN,"
"My job is to help Walt do the things he wants to do." Cars 2, Pixar's sequel to to the 2006 animated Cars, is generally released in U.S.
get-away to a tropical paradise. characters from the Disney-Pixar movies Cars and Cars 2. Mickey Mouse to brand new comics from Toy Story and Cars 2. Disney Channel. Some 7.5 million viewers tune in to watch the very first 60 minute episode of season 3.
to Annette Funicello, the Mouseketeer-turned-movie star who died in April at age 70. The stage where "The Mickey Mouse Club" was filmed is now officially the Annette Funicello Stage. series The Office, her Disney voice credits include Wreck-It-Ralph as Taffyta Muttonfudge and Inside Out as Disgust. The 100th Disney Channel Original Movie, Adventures in Babysitting first airs. 1987 film of the same name. for their popular online comedy channel in hopes of becoming celebrities. Hans Zimmer and producer Don Hahn. Actor David Tomlinson passes away at age 83 in London, England. A stage, film and television actor and comedian, Disney fans best remember him for his role of George Banks in the 1964 Mary Poppins. He also portrayed Peter Thorndyke in The Love Bug (1968) and Professor Emilius Browne in Bedknobs and Broomsticks (1971). Tomlinson will be posthumously inducted as a Disney Legend in 2002.